After MPs narrowly voted in favour of the amendment tabled by the senior Conservative Graham Brady, yesterday was yet another hectic day of Brexit-related news. MEPs sat down to debate Brexit, with the European Union’s chief negotiator, Michel Barnier, grabbing the headlines. He said that the withdrawal agreement would not be renegotiated – despite what Theresa May and other members of the Commons would have us believe – and that voting against a no-deal Brexit will not necessarily prevent it from happening. It is difficult to overstate how incredible these past two years have been. 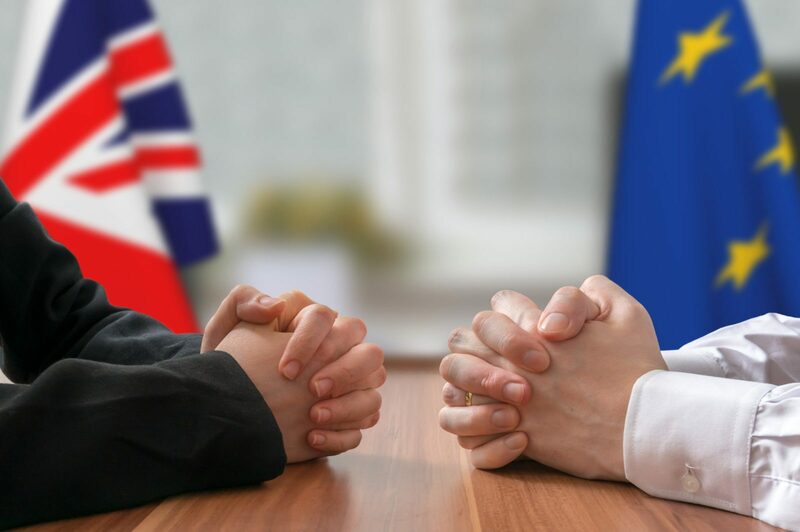 Securing an agreement between the UK and EU has proved difficult enough – the backstop that has been put in place is an essential part of the agreement, as it forms part of a solution to the Irish border issue. Getting rid of the backstop does not seem like a viable option at the moment, but it is important to remember that it never has been really. Let us also remember that the prime minister has repeatedly insisted that her deal was the only deal on the table, that if MPs wanted to avoid the risk of a no-deal Brexit, then they must support her plans. Now that the Commons has overwhelmingly rejected those plans, her government supported an amendment that essentially changed her plan. As we learned on Tuesday night, that has now been passed. May is now tasked with convincing the EU to agree to a different plan in two weeks. Even if she were successful – and EU leaders agreed to get rid of the backstop – May would then have to present that new agreement to Parliament and hope that would win support from a Commons majority. All things considered, it does seem reasonable for Juncker to say that the no-deal Brexit risk has increased. There are now 57 days until Brexit. Yesterday, we also learned that a High Court judge has ruled that Barclays can shift €190 billion of assets to its Irish division because it ‘cannot wait any longer’ to see whether there will be a no-deal Brexit. The move comes following warnings from the Director General of the CBI, Carolyn Fairbairn, that until MPs can agree a solution to the Brexit crisis, ‘the threat of no deal will continue to drain money from the UK’. Of course, we do not know what is going to happen over the course of the next 57 days and beyond and neither does anyone else (a point we make in our currency forecasts). One thing is clear: if the UK withdraws from the EU without securing a deal, the value of the pound will plummet. Such moves have the potential to be devastating; we are not scaremongering – what seemed highly unlikely even a week ago looks increasingly possible. Email our trading team now on corptraders@smartcurrencybusiness.com to discuss risk management strategies that can protect your business. Attention was understandably focused on Brexit developments (or lack of) yesterday, but mortgage approval figures for December were released. They showed that the number of mortgages approved last month dropped to 63,793, which was more-or-less in line with expectations of 63,000. It is the lowest number of approvals since April 2018, although the Christmas period is not the busiest time to buy houses anyway – Santa would likely drop the wrong presents down the chimney. We also saw that UK consumer credit growth slowed to its weakest since late 2014 in December. Interestingly, the Bank of England reported that it found that UK households ‘significantly increased their deposits in interest-bearing instant access savings accounts in December’. It appears that instead of loading debt onto their credit cards, the British public decided to cut back and save their pennies. The economist, Samuel Tombs, noted that UK consumer credit is slowing at the fastest rate since the financial crisis. At midday, we will see the Gfk consumer confidence reading for January. The reading is expected to slip further to -15 from -14 the previous month. We will also see the Nationwide housing prices for this month, which are expected to show monthly grow of 0.2% from the previous reading of -0.7%. Year-on-year, the figure is expected to come in at 0% from 0.5%. On what was an extremely busy day for the eurozone, we saw further evidence that morale across the euro area is sliding. The economic sentiment index dropped to 106.2 in January from 107.4 the previous month and below expectations of 106.8. It is the seventh consecutive month of declines and is the lowest reading since November 2016. The business confidence reading wasn’t much better, as it decreased by 0.17 points to 0.69 this month. It is the lowest reading for exactly two years. February’s Gfk consumer confidence reading from Germany unexpectedly rose to 10.8 from an upwardly revised 10.5 the previous month and above market expectations of 10.3. It is the highest reading since May 2018 and is mainly down to increases in income expectations and the public’s willingness to buy. Consumer confidence in the eurozone came in as expected by remaining unchanged at -7.9. The preliminary estimate of Germany’s inflation rate for January shows it is expected to ease to 1.4% from 1.7% the previous month and below the 1.6% economists predicted. If it proves to be correct, it will be the lowest inflation rate since February 2018. It is another busy day as far as economic data from the eurozone is concerned. We will see December’s retail sales figures from Germany, as well as the unemployment rate for January. This is expected to hold steady at 5%. We will also see the flash reading of the eurozone’s GDP growth rate for the fourth quarter of 2018. Year-on-year, it is expected to dip to 1.2% from 1.6% the previous period. Although the longest government shutdown in history has now come to an end, the effects of it are expected to filter through to the US economy over the next few weeks. However, figures released yesterday showed that if there are any adverse effects, they have not immediately harmed employment, as some 213,000 jobs were created by US companies in January. While that is a significant drop from the downwardly revised 263,000 jobs created in December, it is still some way above the 178,000 expected. The fact remains that hundreds of thousands of Federal workers were unpaid for weeks, so some negative impacts are expected in the not-too-distant future. The only release of note from the US today is initial jobless claims up to 26 January 2019. The readings have been extremely impressive of late, although it is possible that the recent government shutdown has skewed the readings. This time around, the figure is expected to have climbed to 215,000 from 199,000 the week before, although recent releases have been wide of the mark, so it will be interesting to see if today’s figures are. For more on currencies and currency risk management strategies, please get in touch with your Smart Currency Business trader on 020 7898 0500 or your Private Client trader on 020 7898 0541.